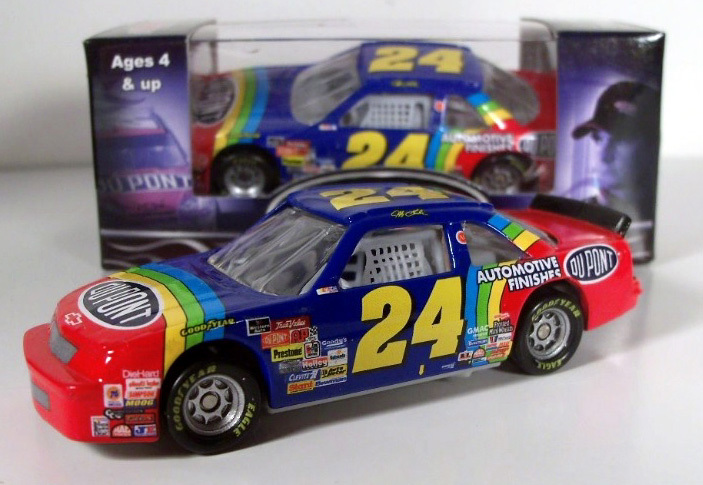 Action Gold Series 1/64: Diecast cars are packaged in a clear window box. 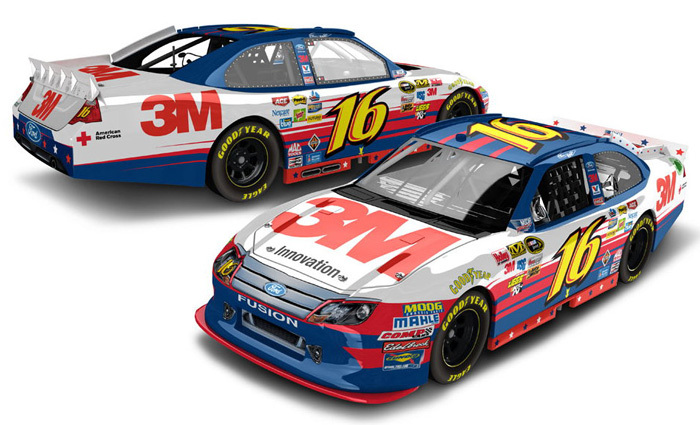 2012 Greg Biffle #16 3M / NASCAR Unites - An American Salute / Ford Fusion NASCAR diecast, by Action. 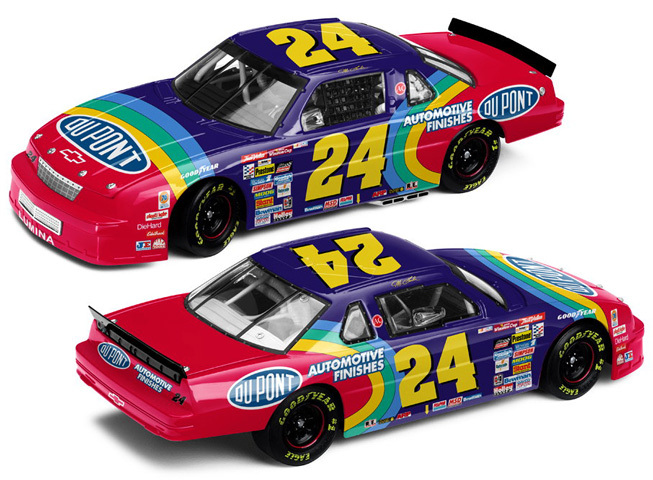 The Roush Fenway Racing #16 3M NASCAR Unites Ford was raced by Greg Biffle in the NASCAR Sprint Cup, Quicken Loans 400 at Michigan International Speedway on June 17, 2012. 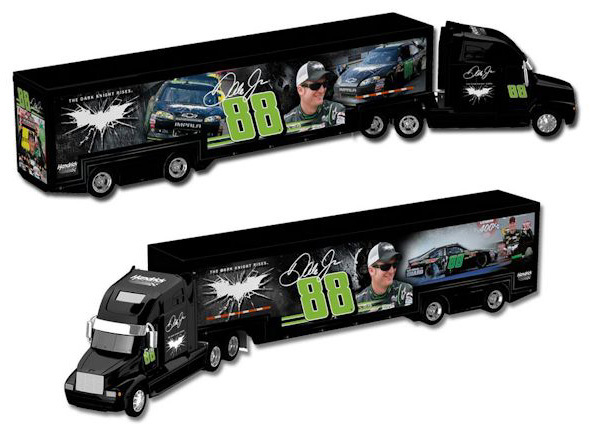 2012 Dale Earnhardt Jr #88 Diet Mtn Dew / Batman - The Dark Knight Rises / NASCAR Hauler diecast, by Action. This Hendrick Motorsports #88 Batman The Dark Knight Rises NASCAR hauler features images from Dale Earnhardt Jr's Quicken Loans 400 Win at Michigan Speedway on June 17, 2012. 2012 Denny Hamlin #11 FedEx Freight / Toyota Camry NASCAR diecast, by Action. 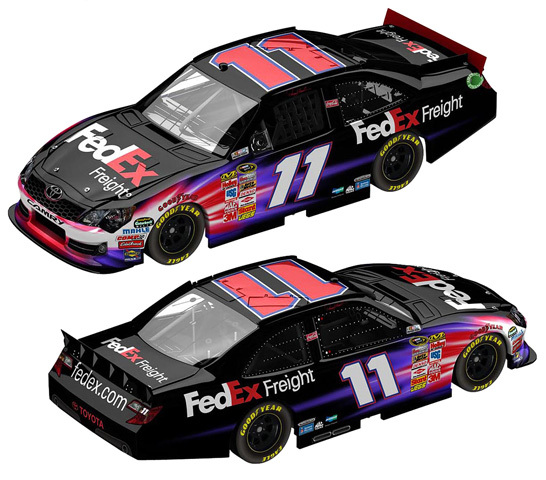 The Joe Gibbs Racing #11 FedEx Freight Toyota was driven by Denny Hamlin during the 2012 NASCAR Sprint Cup season. 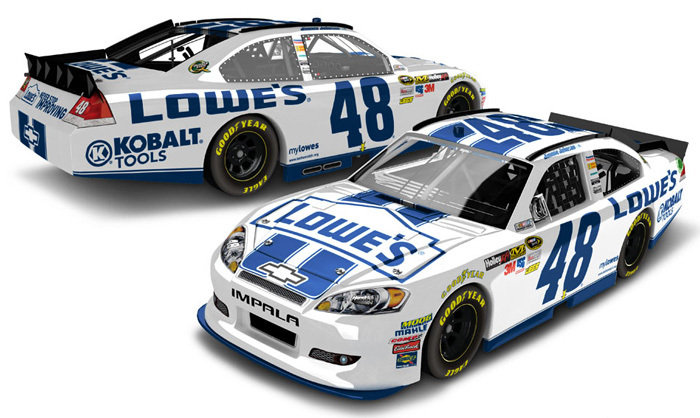 2012 Jimmie Johnson #48 Lowe's / Dover White / Chevrolet Impala NASCAR diecast, by Action. 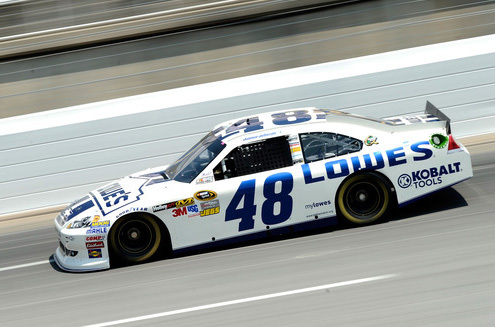 The Hendrick Motorsports #48 Lowe's Dover White Chevrolet was driven by Jimmie Johnson in the NASCAR Sprint Cup, Quaker State 400 at Kentucky Speedway on June 30, 2012. 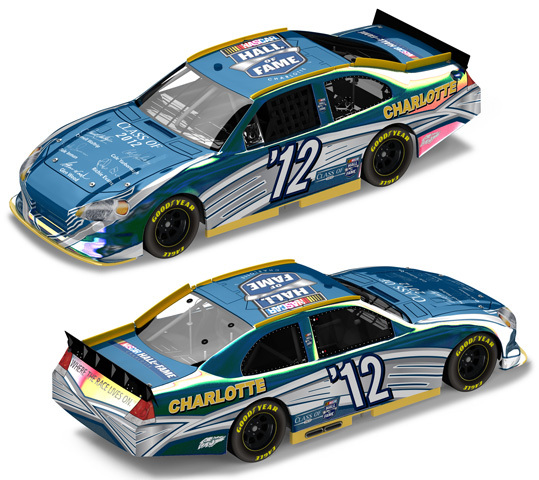 This paint scheme honors a classic Chevrolet paint color "Dover White". 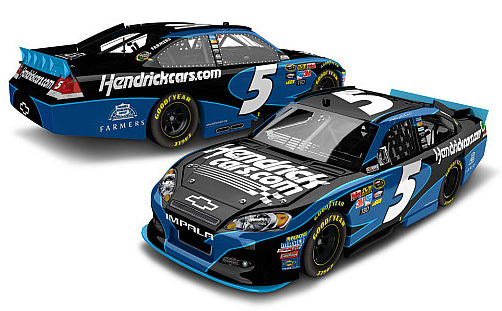 2012 Kasey Kahne #5 HendrickCars.com / Chevrolet Impala NASCAR diecast, by Action. 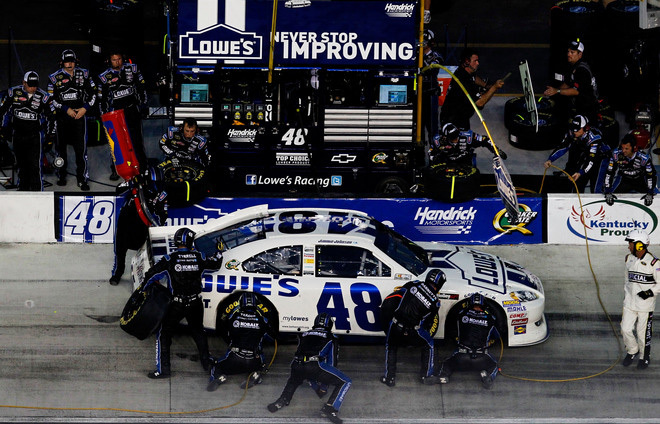 The Hendrick Motorsports #5 HendrickCars.com Chevrolet was driven by Kasey Kahne in select events during the 2012 NASCAR Sprint Cup season. 2012 Ryan Newman #39 Tornados / Chevrolet Impala NASCAR diecast, by Action. 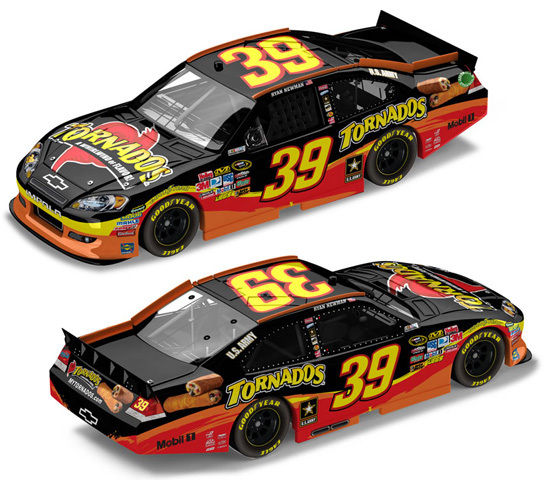 The Stewart-Haas Racing #39 Tornados Chevrolet was driven by Ryan Newman in select events during the 2012 NASCAR Sprint Cup season. 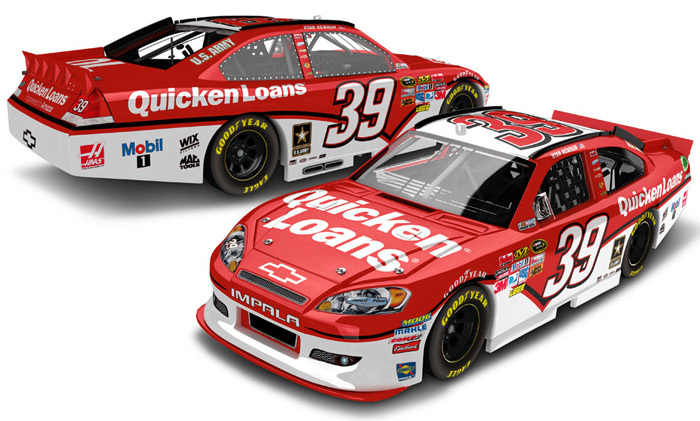 2012 Ryan Newman #39 Quicken Loans / Chevrolet Impala NASCAR diecast, by Action. 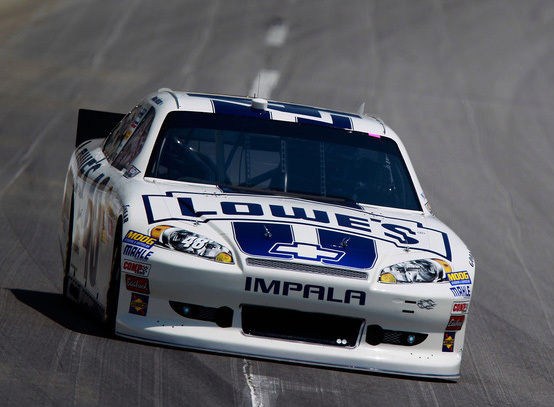 The Stewart-Haas Racing #39 Quicken Loans Chevrolet was driven by Ryan Newman in 9 races during the 2012 NASCAR Sprint Cup season. 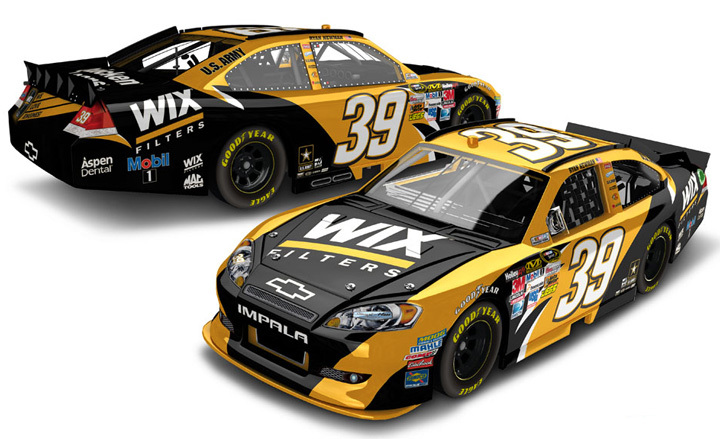 2012 Ryan Newman #39 WIX Filters / Chevrolet Impala NASCAR diecast, by Action. 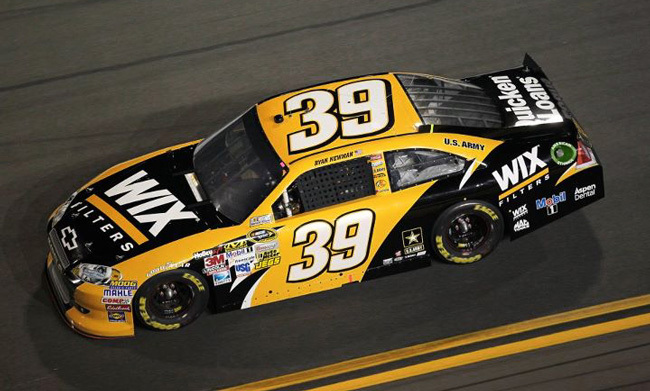 The Stewart-Haas Racing #39 WIX Filters Chevrolet was driven by Ryan Newman in select events during the 2012 NASCAR Sprint Cup season. 2012 Cole Whitt #88 TaxSlayer / Chevrolet Impala NASCAR diecast, by Action. 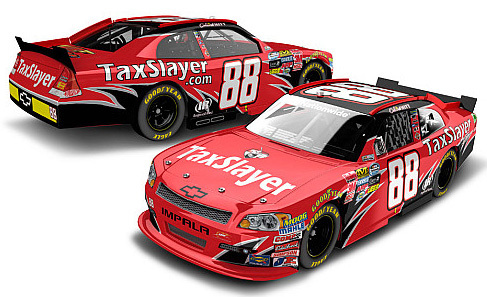 The JR Motorsports #88 TaxSlayer Chevrolet was driven by Cole Whitt in 12 races during the 2012 NASCAR Nationwide Series season.